At FirstLight Home Care, we have developed dementia care plans to help people who are suffering from dementia or Alzheimer’s cope with the anxiety, depression, confusion and isolation that is often associated with the disease. 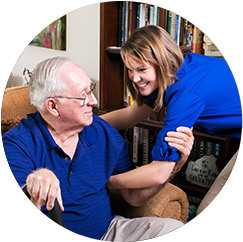 Our unique programs for dementia care services at home help not only the dementia sufferer, but the family as a whole. That’s why we’ve developed a unique Dementia and Alzheimer’s Care Program—building dementia care services around the individual, not the disease—incorporating who they were, not just who we see today. It’s a personalized and engaging dementia home care approach, where our goal is to make sure those affected by this disease live the rest of their lives with purpose. Many people with dementia want at home care, to keep at least their surroundings familiar in a world suddenly filled with uncertainties. Our long term dementia caregivers and coordinators use this information to build specific and individualized dementia care plans for daily care. 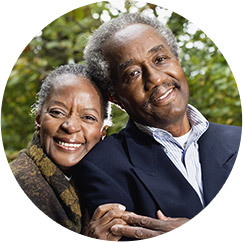 To help you throughout the process, we make you a part of our rigorous caregiver selection process and one-on-one consultations. And to ensure that our dementia care services are always evolving to provide the best possible family experiences, we continually evaluate its effectiveness with client satisfaction surveys, client and caregiver focus groups, and advisory councils. 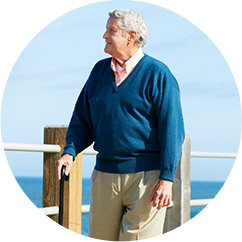 Contact us below for more information on how FirstLight’s Dementia Program can give you peace of mind and make a difference in your loved one’s dementia or alzheimer’s care. Our long term caregivers have the solutions you seek. Please fill out the below form to get started!